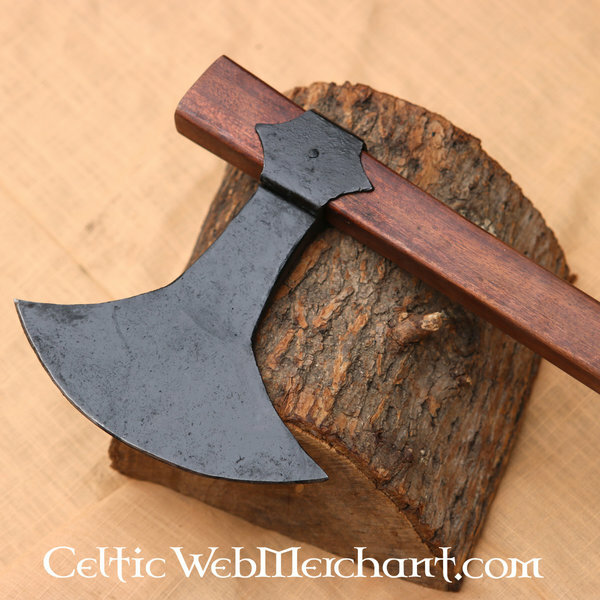 The Danish axe is an early type of battle axe that was mainly used in the period between the Viking age and the Middle Ages. 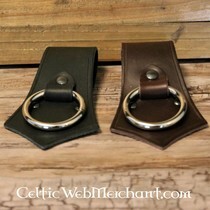 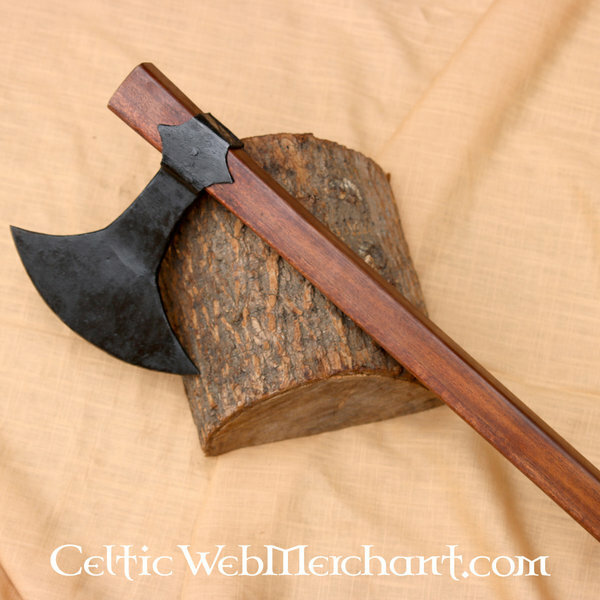 During the tenth and eleventh centuries, the Danish axe won much popularity outside of Scandinavia, but in areas with strong Viking influences such as England, Ireland and Normandy. 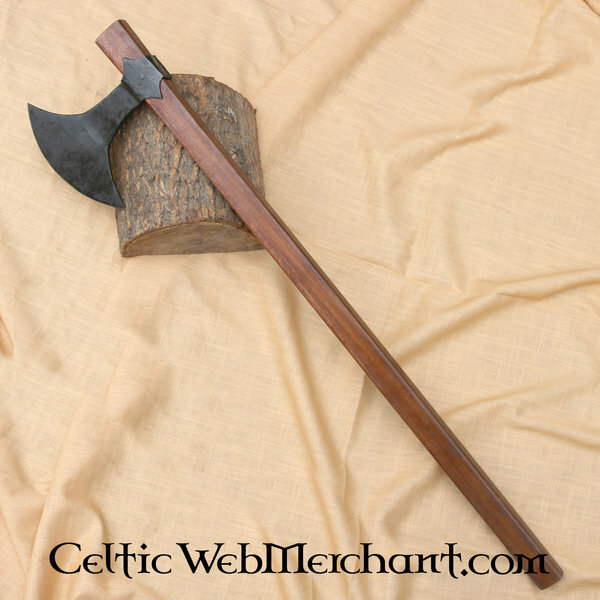 The Danish axe was an elite weapon in these regions. 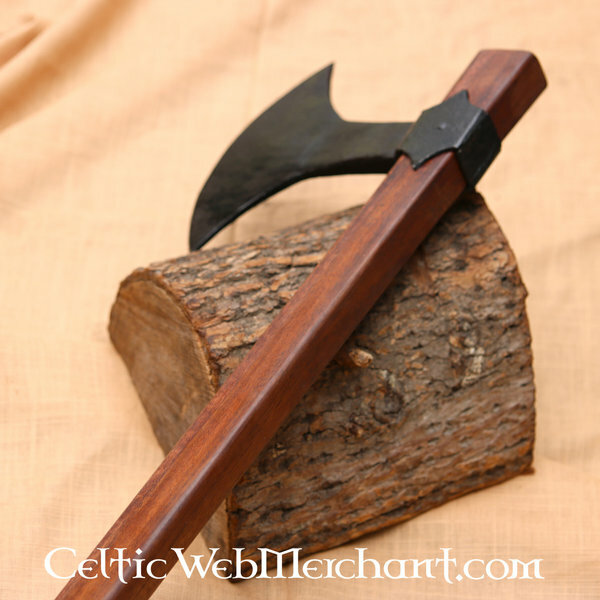 On the Bayeux tapestry all figures who carry a Danish ax, are depicted wearing full armor. 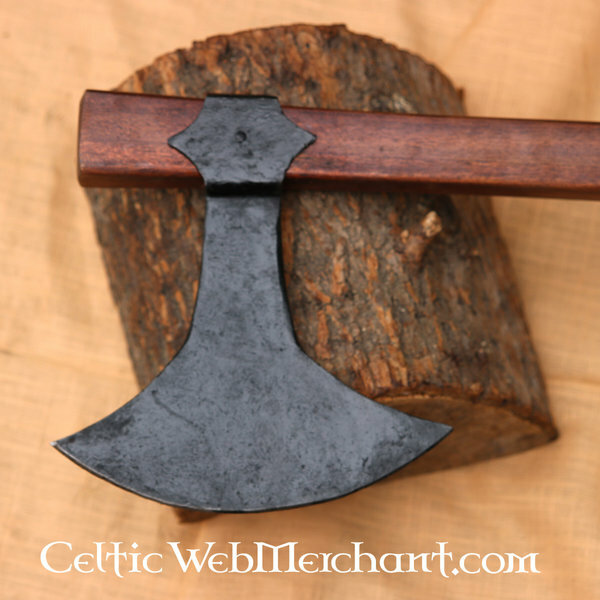 A Danish axe is also offered to Harold for his coronation. 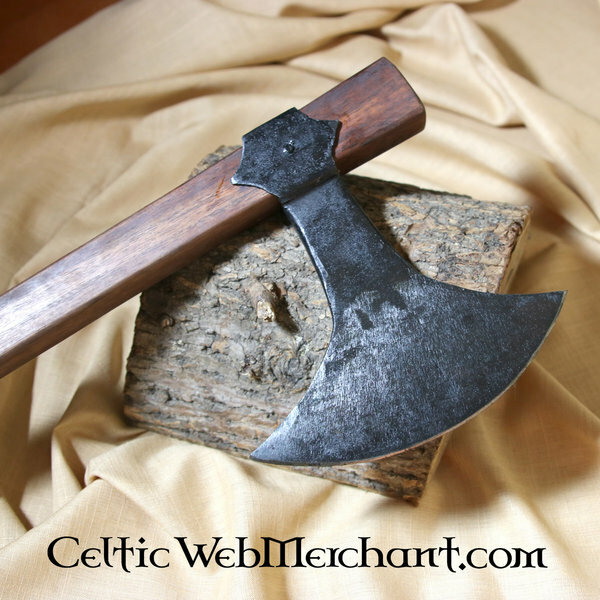 This axe is a perfect weapon for re-enacting Normans, Vikings, Anglo-Saxons and the Danelaw period. 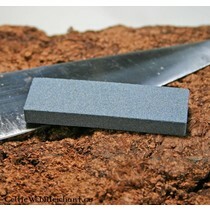 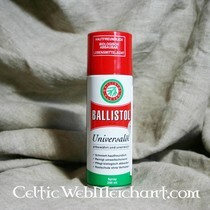 It has a razor sharp edge and is perfect for cutting wood.